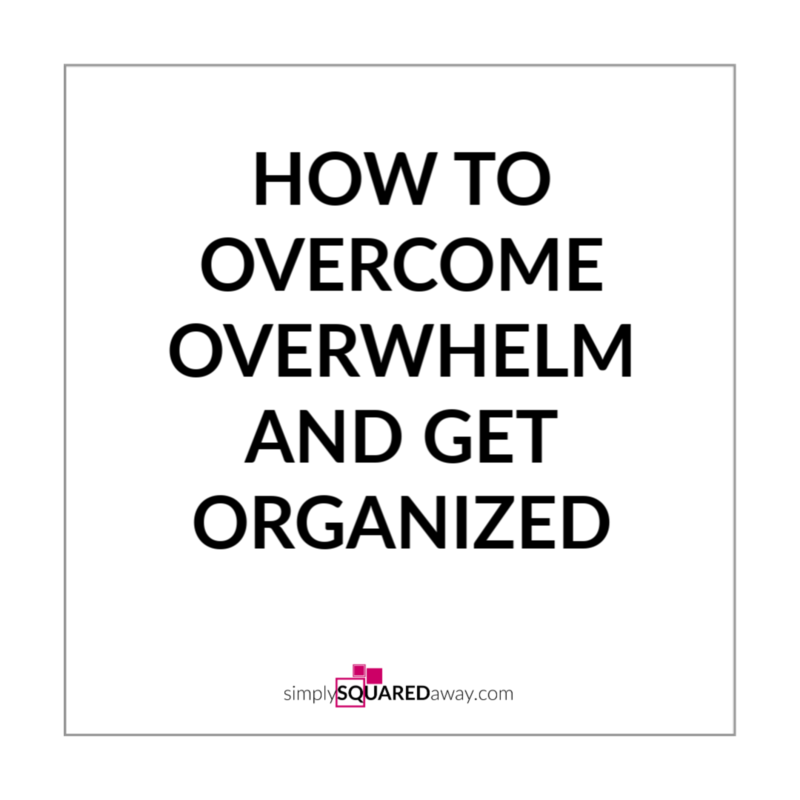 Most people feel overwhelmed when they start thinking about getting organized. 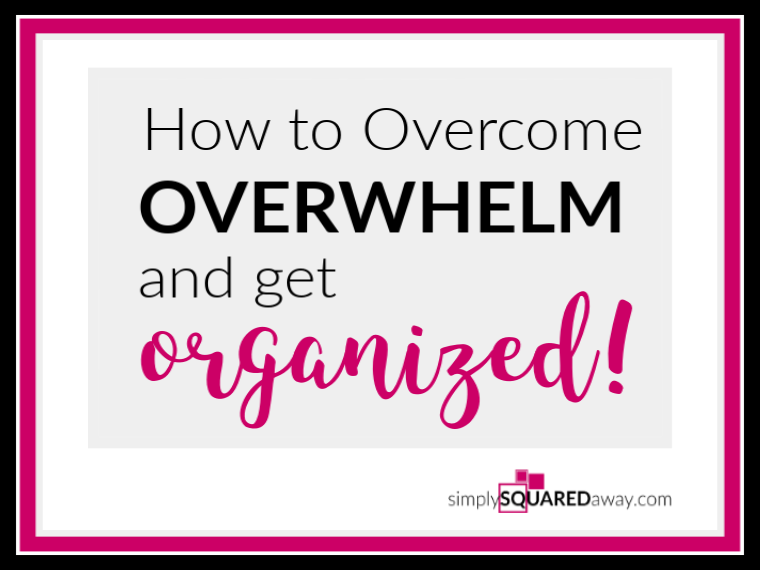 I’ll show you how you can overcome overwhelm and get organized. My stuff is overwhelming me. 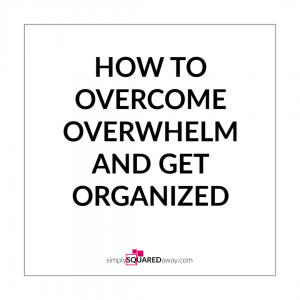 Maybe you think it’s all the stuff causing you to feel overwhelmed and dread. You look around and all you can see is STUFF. Most people blame the stuff for how they feel. 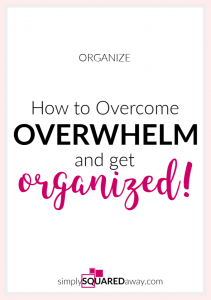 They blame the circumstance, the messy house, and all the time and the work it is going to take to get things in order, for their feelings of overwhelm. You may even blame your inability to let things go, your inability to make decisions, and your lack of desire to deal with it all. 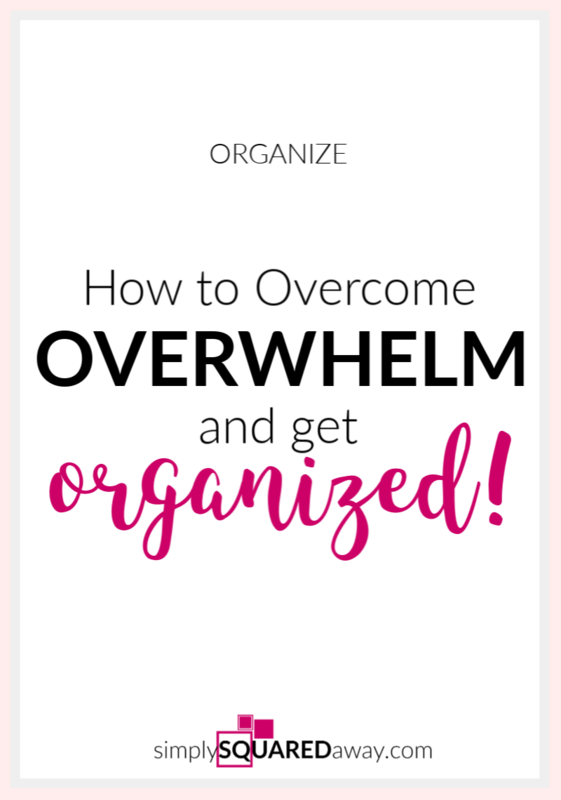 What’s really causing your overwhelm is your thinking. Your thoughts about all the stuff. 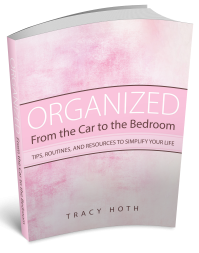 I helped a woman organize her garage. When she opened the garage and I saw all the stuff, I froze. I just stared at all the stuff. How in the heck? My body literally froze with dread and overwhelm. That thought caused me to feel overwhelmed. The stuff in the garage was neutral. All the stuff was just stuff sitting there. It wasn’t making me feel overwhelmed. It had no power over how I felt. Someone else could have looked at all the stuff and gotten excited. Yes, there are people that do! It’s not the stuff or even the amount of stuff. It was my thoughts causing my feeling of overwhelm. Understanding this is the first step. Since I was getting paid to help her I couldn’t just walk away, take a nap or escape on my phone. I had to do something. But, we don’t take action when we feel overwhelm. I couldn’t keep thinking thoughts that caused me to feel overwhelmed. This thought caused me to feel focused. I grabbed the paint can. She did what I did and grabbed the thing next to it. And guess what?! We sorted the ENTIRE garage!!! This works in all situations. Most of the time, you can’t control or change your circumstance. You have a house full of stuff. Projects you want to get done. A job you don’t enjoy. You have a spouse who might not do and act like you think he should. Maybe a child who is making decisions you have no control over. But, our thoughts about our circumstances are totally in our control. They are optional and changeable. That is such great news!! If we want to change how we feel – overwhelmed – we need to stop blaming our situation and our circumstance and start working on changing and choosing our thoughts. We don’t make change in a mean, judgmental way but in a gentle, patient way. Our brain is super good at offering us the thoughts we’ve been thinking. We probably even believe they’re true. And I’m sure you have a ton of evidence and would love to convince me that your situation is different. This might just be blowing your mind right now. But, I can guarantee that it is true and exciting and life changing. They should teach this in elementary school. I’m teaching it to my kids now. It wasn’t that I had some special power. I chose to direct my brain to think differently. I chose to repeat and believe and think thoughts that caused me to feel focused instead of overwhelmed. Since actions are driven by how we feel, feeling focused will drive the actions that lead to organized spaces. If this resonates with you, I offer a free mini coaching session where I help you look at YOUR specific problem. Because I believe everyone needs a coach! 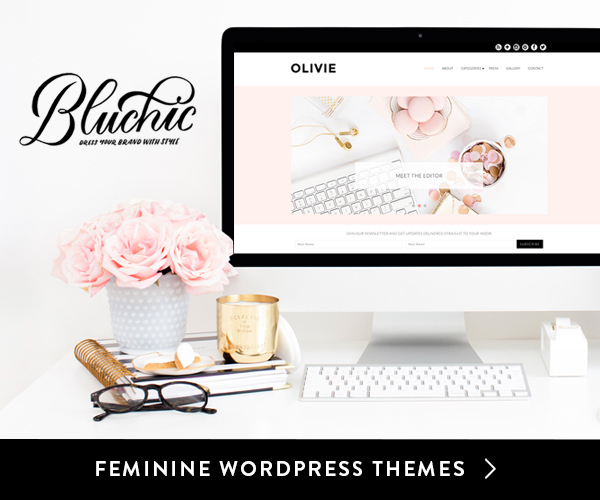 I want to help as many people as I can using these tools. 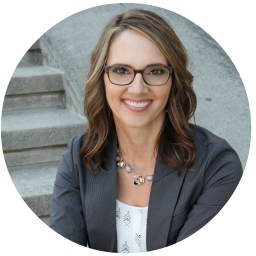 At the end of the call, if you are interested in working together more, I can share how I can help. No pressure. Just get ready to have your mind blown. Schedule your call by clicking here. You’ll be taken to my calendar. Take a risk. Schedule a call.